Editor's Note: For the past 16 years, Network World has presented our picks of the geekiest, techiest or just plain coolest gadgets for holiday gift giving purposes. We’ve witnessed the birth of the smartphone, the dominance of the tablet and the shrinking size of the television (at least the depth, the width and height keep getting better). We’ve seen robots, big and small, and every conceivable charger, phone case, travel widget, computer, printer and USB doohickey imaginable. So here we are in 2015 – halfway through the second decade of the new millennium (does anyone use that term anymore?). We live in a world of instant news and social recommendations via Twitter, Facebook, YouTube, Instagram, Snapchat and countless other communication platforms. Most of your holiday shopping will be done online – whether it’s Amazon and other mega-shopping sites, or just the online site of your favorite retailer, depending on whether they’re offering free shipping or not. Black Friday and Cyber Monday are national holidays. There’s so much stuff out there and so many ways to buy that stuff that it’s no wonder people freak out at the holidays. Can we help you sort through the madness? Hell, no – that would be a full-time job here at the Cool Yule Tools Headquarters, and we’re really busy fending off pushy PR people who insist that their iPhone 6S case is absolutely the perfect gift guide item (and in one case, it was, since it also could charge our phone). But what we can do is offer up our humble list of products and technologies that may impress someone on your holiday gift list. Some of the stuff is ultra-techie and ultra-geeky, some of the stuff you may look at and say, “What kind of gift is that?” Quite simply, it’s stuff we’ve tried out this year, stuff we’ve liked, or stuff that we think can help you (or someone you know) live a better life in this crazy, tech-obsessed culture. This article highlights our picks for gift items meant for "WORK" - stuff that will help you become more productive when you travel, or when you're sitting behind those cubicle walls at your desk. If you do any kind of traveling with kids who take lots of devices with them in the car, you’re going to LOVE LOVE LOVE this adapter. It has four USB ports! Four! If you have a car that has only one car charging port (luckily, our mini-van has two), this adapter greatly expands your charging options for smartphones, tablets and other devices you may end up needing on your next road trip (for example, the Seagate Wireless hard drive). If you own one of these devices (Samsung Galaxy S6, S6 Edge, HTC M9, Nexus 6, HTC Butterfly 2, HTC One M8, Moto X, Galaxy Note 4/Note Edge, Sony Xperia series), the Qualcomm Quick Charge technology can recharge them a whole lot quicker than a normal adapter. It’s one of those stocking stuffer items that your recipient might not appreciate immediately, but I guarantee they’ll be using this long after the novelty tie fades away. If you ever get to a point where you need more than four USB ports, you could always look for a vehicle that has two charging ports, get a second one of these and then have eight USB ports. If you need more than eight, well, then we need to have a talk about what you’re doing in your car. Apple gets the reputation for having the really, really thin and light notebooks with its MacBook Air line, but there are also some thin-and-lights on the Windows PC side of the ball as well. 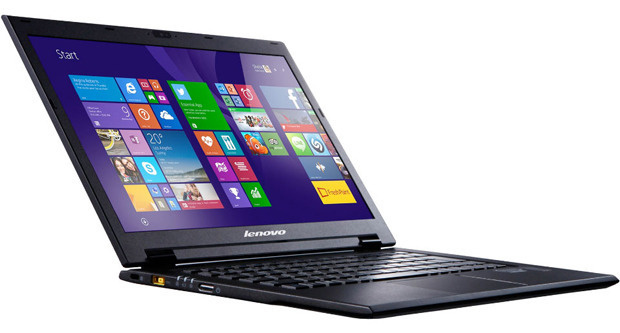 Such is the case with the LaVie Z line from Lenovo - starting at 1.87 pounds and measuring 0.7-inches thick (thin? ), this notebook is so lightweight that you’ll likely have a bigger problem trying to remember whether it’s in your bag during your travels or commute. The lightweight design doesn’t seem to sacrifice in areas such as performance or battery life - Lenovo claims battery life lasts up to 9 hours (with multiple power-saving options available to extend the life if you need extra juice), and it comes with the fifth-generation of Intel Core processors (the unit we tried had an Intel Core i7). For users who are really, really into thin-and-light, they’ll be stunned at how little this system weighs. The thin design does sacrifice a few things - there’s no optical drive slot and no port for an Ethernet cable - you’ll have to get a docking station or external device for those features. You only get two USB 3.0 ports as well - so adding things like additional storage, a keyboard or external mouse might also mean some shuffling or hub purchases (one colleague mentioned I should just move to Bluetooth for keyboards and mice, but pffft - I’m a traditionalist there). There’s also an HDMI-out port if you want to see things on a screen that’s larger than the 13.3-inch display. The one big downside for me on this model is the keyboard - perhaps as a way to get the device lighter and thinner, it seems like the keys are less durable and functional compared with keyboards I’ve used on other notebooks. In addition, for some reason Lenovo went with a smaller backspace/delete key (the one next to the +/= side on the second row). Instead of a double-wide backspace key, you get instead two smaller ones - one labeled “FWD Space” and another labeled “Back Space”. As a touch typist, this was extremely annoying, as my fingers usually hit the left side of the Backspace key when I’m typing, so every time I tried it on the LaVie, I hit the FWD Space key. I’m not even sure why you need a FWD Space key on this system, when you already have a Spacebar and a four-way arrow key that includes a right arrow key (someone enlighten me on how this key is different). If the keyboard backspace thing doesn’t annoy you that much, then this can be a very cool notebook worth looking at. This cable is an update from one of my favorite accessory companies, Ventev. 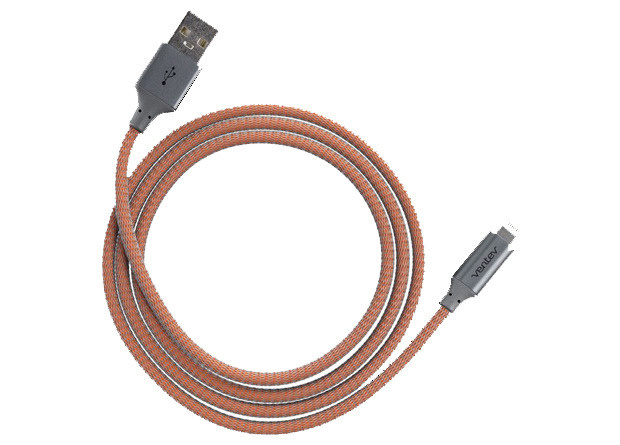 The latest ChargeSync cables now include an aluminum alloy cable option, making it even less likely to get tangled when you wrap it up, or get frayed if you bend the cable too much. After trying one of these, you’ll never, ever, ever go back to an inferior charging cable. Get one of these for everyone that you buy a smart device for – they’ll use these longer than they use the device, in most cases. Seriously, $30 for a charging cable might seem extravagant, but if you travel a lot and have experienced the degradation of lower-quality cables (or have gotten those tangled a lot), you’ll appreciate the extra money spent. The last time I set up and used a personal laser printer was in the mid-1990s, long before inkjet printers and the colorful options they offer came into my life. Sure, I still use laser printers today, but they’re the giant ones in the office with all sorts of other options, like scanning, copying and faxing (yes, faxing!). For my personal printing needs, it’s been the multi-function color inkjet model for the last 20 or so years. But you do sacrifice something when going from laser to inkjet, especially for wordy documents like contracts, letters, etc. There’s still something nice about having a crisp, clear document that only a laser printer can offer. 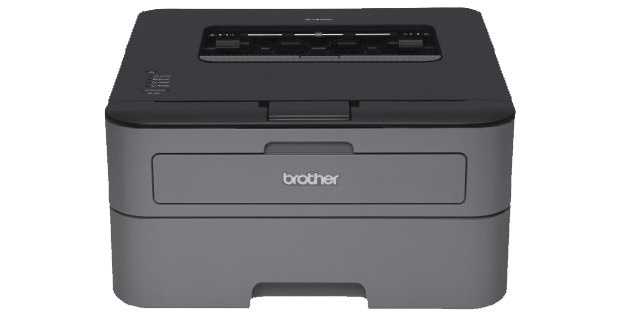 The lower price model offered here by Brother (only $120) gives consumers the ability to own a laser printer of their own again. The two biggest features of this other than the price are the speed of the printer – Brother says the print speed can go up to 27 pages per minute – and the ability to print two-sided documents automatically and easily. This feature helps save paper and time, especially if you’re doing something fancy like printing up a brochure. The printer comes with a paper tray that holds up to 250 sheets of paper, and can do both legal and letter-sized paper. A manual tray at the top can handle things like envelopes and labels. There is one downside to the printer – the only connectivity option is USB, and it doesn’t come with its own cable – you have to provide one yourself. After years of seeing printers with both Ethernet and Wi-Fi options, it was a bit disconcerting to have to position the printer close enough to my computer to connect it. This printer would likely live on a desk or nearby, unlike networked printers that can be far away from your computer. A compact laser printer might not be at the top of your holiday gift-giving list, but if you have someone who prints a lot of documents, the price is good enough for a printer that can give them the joy of laser once again. The growth of in-vehicle Bluetooth speaker systems has lowered the need for drivers to invest in a separate Bluetooth headset, but if you’re one of those drivers who don’t have such a system in their car yet (either by choice or that you’re driving an older car), here’s a headset option you’ll appreciate. 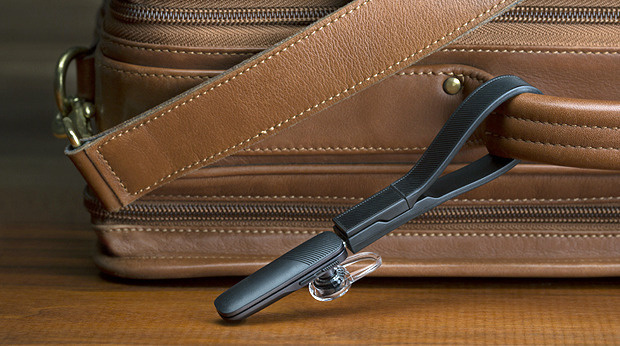 The Explorer 500 is a very tiny Bluetooth headset, which should appeal to users who don’t like a big, bulky microphone or device hanging on (or in) their ear. It’s extremely lightweight, and you can attach to your ear simply with the included ear piece, or attach a plastic ear-loop that goes over the ear for more stability. Tech features include dual-microphone noise reduction (which Plantronics says is enhanced by HD voice when used with wideband-enabled phones and service), and voice activation that connects directly to either Siri or Google Now. A fully charged unit offers up to 7 hours of talk time, and it also includes a “DeepSleep” mode that shuts off the headset if the headset gets out of range with the phone (like when you leave it in the car but forget to turn it off). Keeping on the simplicity theme, there’s no bulky power charger – instead you get a flexible charging strap that can connect to a USB port – when you’re not using the strap you can take advantage of two magnets in it to create a loop that can hold the headset. For activities beyond just talking on the phone, the headset supports A2DP for music and podcast streaming, although you have to listen in one ear (non-stereo), and in-device audio alerts let you know how much battery life is left and whether you’re connected to a phone. $199.99 (Amazon Prime price), plus data costs (from $24.99 per GB up to $74.99 for 5GB). 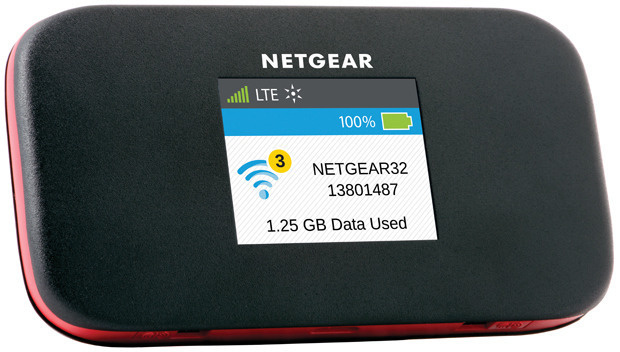 If you’ve ever used a portable Wi-Fi hotspot that also has wireless WAN capabilities (3G, 4G, etc. ), you’ll be familiar with the Around Town device. It’s a small device, about the size of a flattened, rectangular hockey puck, that provides cellular data access via an internal Wi-Fi connection. This lets you share that 4G connection with multiple devices, good for hotel rooms on family trips or collaborating with clients (instead of paying for multiple Wi-Fi connections at a hotel, for example). Unlike other devices, the Around Town doesn’t require a monthly data service cost. You initially get 1GB of data with the purchase, and then when you use that up you can pay for additional data – you basically pay for what you use. With monthly data plans, any unused data gets lost month to month (unless you pay for a data carryover plan), and if you go over – then get ready for data overage charges. That’s all gone with the Around Town, making this a nice option for an employee who travels only occasionally, or for groups of workers who might need network access for a quick overnight trip (an IT staffer can pass this out and then give it to a different worker the next week). The costs for the data plans seem a bit high (even at the high end, $15 per GB is costly), especially when you consider that doing lots online these days can gobble up data very fast (forget about streaming Netflix via this thing). 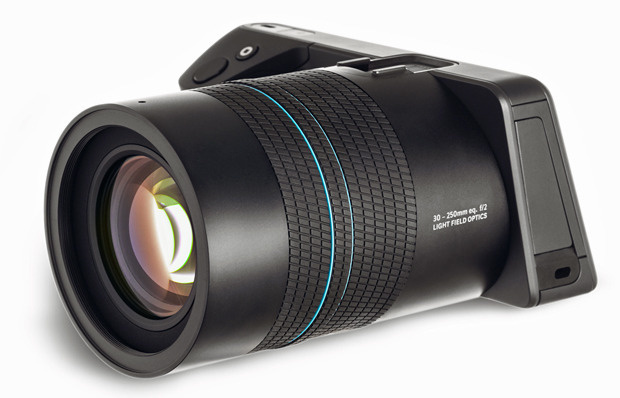 A few years ago, Lytro amazed us with its initial offering, a camera that could let users change the focus of their images in post-production, guaranteeing that the photos in question would always be good. The Illum camera is the next step in that evolution – instead of going after mass consumers, the Illum camera is clearly aimed at professional photographers and semi-professionals – the digital camera “pro-sumer” audience. This is a serious camera with a TON of different features aimed at providing users with the ability to create awesome images. If you’re a camera user who likes taking photos with the auto-focus button, step away – there’s a bit of a learning curve with this device. The camera is able to capture light from every angle with its sensors and Snapdragon 800 processor. With an 8x optical zoom lens and 30-250mm equivalent focal length, the camera gives great flexibility in capturing the depth of a photo in new ways – users can choose to focus on details on the foreground and background with greater accuracy than with a traditional digital camera. Once you understand how to set up shots to take advantage of these features, taking photos with the camera is pretty fun – instead of having your two kids stand next to each other, for example, you’ll put one in front of the other and fiddling around with the focal depth. By no means am I a professional photographer, but I felt like I could create better shots than what I get with my cell phone or other digital cameras. Examples of much better “living pictures” created with the camera are available at the Lytro Illum website. The system comes with additional apps – a free desktop app lets you import the images and do additional work with it, especially in the re-focus perspective. Because the image data includes so much information, you can also create animations and 3D images from the single shot. The company also provides a mobile app that lets phone and tablet users see images from the camera (via a direct Wi-Fi connection). I feel like I’ve just scratched the surface with the types of photos I can create with the camera – if you have a serious photographer enthusiast on your holiday gift list, check out this camera. 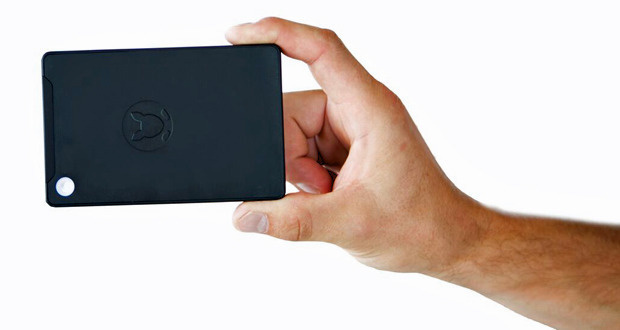 The Kangaroo Mobile Desktop claims to be the world’s smallest Windows 10 PC, and it’s hard to argue with that statement. This tiny device provides a full Windows 10 experience, making this a very interesting proposal not just for work, but for at-home use as well. The device comes with a small docking station, to which you connect an HDMI cable to provide video and sound to a compatible monitor or TV (the hardest part for us in our review process was finding such a monitor here at the office). Two USB ports on the Kangaroo let you connect a keyboard and mouse – but you can also connect Bluetooth keyboards and mice after you configure the system, freeing up those ports for other peripherals (additional storage, for example). But that’s not all – with the OSLinx app via the Apple Store, you can connect the Kangaroo device via USB cable to an iPad and get the Windows 10 experience on the iPad. Furthermore, the Kangaroo can operate in this mode without having an external power connection (it will run for about four hours on its battery with “casual use,” Kangaroo says). The Kangaroo includes the 64-bit Home version of Windows 10, runs off an Intel Atom x5-z8500 processor, has 2GB of RAM and a 32GB hard drive. 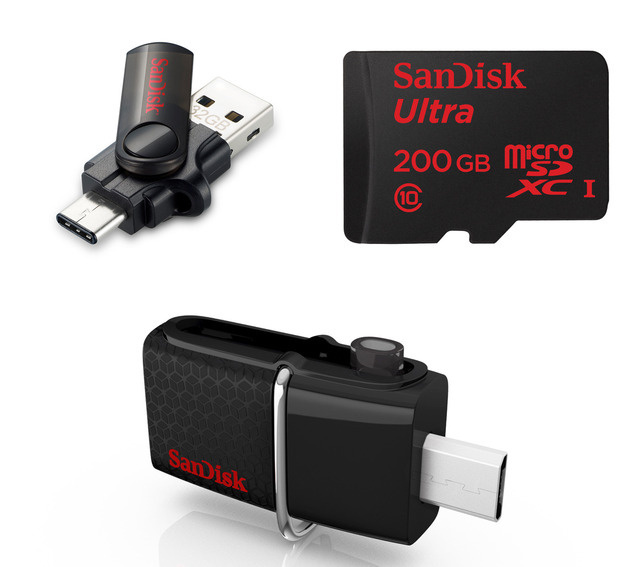 Extra memory can be added through a microSD card or by attaching an external USB hard drive to one of its ports. My only complaint with the device is that 2GB of RAM isn’t really enough – during my review I wasn’t able to install an app that required 4GB; this could limit what you do with the system – Kangaroo, can you make a 4GB or 8GB version? As long as you have the additional gear for a computer experience (an HDMI monitor/TV, keyboards and mice), the $100 price tag is a huge selling point as a possible extra PC for home or work scenarios. This writeup comes from the perspective of moving from the Apple iPhone 5 to the new 6S model (the regular size one, not the 6S Plus). Between the 5 and 6S there were two other models from Apple (the 5S and the 6), so this upgrade is about three years apart for me, a bit longer than the typical two-year upgrade cycle. The biggest change for me is dealing with the size of the 6S – the size also changed for the 6 – it’s more in line with the larger Android phones from Samsung and other vendors. The days of having a tiny smartphone appear to be gone, but at least with the 6S you can have a slightly smaller phone. With iOS 9 on the phone, you get a bunch of new features, as well as feature upgrades from the previous two phones if you’re like me and haven’t upgraded in a while. This means I get to experience photo features like slow-motion and time-lapse video features. The 6S (and Plus) also feature the new “Live Photo” option, which gives you some animation before and after the image to give you a sense of what was going on before you snapped the photo. It’s that “Harry Potter” effect that everyone seems to be giddy about, but in my limited use of this feature I haven’t been that excited about it. More exciting for me is the ability to do Burst mode on my pictures, which gives me multiple shots to try and find the right image, especially helpful when taking photos of multiple children at the same time. The video options, especially being able to shoot in 4K resolution, are also a big incentive for owners of older iPhones looking to upgrade. 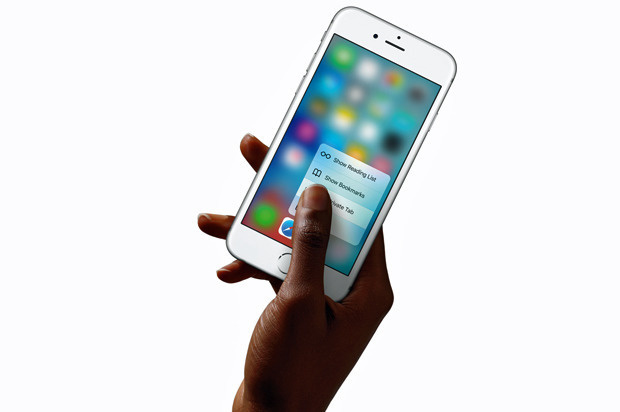 The iPhone 6S also features Force Touch on its display, which gives you some additional app functionality. For example, pushing down harder on the Messages app lets you pick directly from a list of “most recent” text message senders/recipients, getting you to the area faster than before. Not every app has Force Touch features on them yet, but they likely will if they can figure out a useful function for it. For example, the Facebook app will let you take a photo/video, upload a photo/video or Write a Post via Force Touch, instead of having to do those things from the opened app. This was also the first time I experienced the Touch ID fingerprint sensor – the only issue I had was remembering to use it to login or turn on the phone (you can still type in a longer six-digit PIN instead of the older four-digit method). After a few weeks I was able to remember. Colleagues who upgraded to the 6S from the 6, in which Touch ID was first enabled, say that the sensor is much faster in recognizing the print. Battery life still isn’t that optimal – one of the big reasons I upgraded was dismay at how fast I drained the battery, so I was a bit disappointed that I’d still need to carry around charging options, cables and battery packs. But at least there are some good options there – see other parts of this guide for suggestions. At this point in the lifespan of your smartphone experience, you’ve likely made the OS choice and are unlikely (or unwilling) to switch. If you’re in the Apple camp and you have an iPhone 4 or 5, the time is right to make the jump to the larger model to experience some of the cooler new features that Apple has on its iPhone. This year’s model of the latest phablet from Samsung is the first time I’ve experienced their S Pen, the very cool stylus that lets you write notes or draw things on your screen. This may bring you back to the early days of the PDA such as the Palm Pilot or the Handspring Visor, but Samsung puts the S Pen on the device not to be nostalgic, but to let users be more productive with their activities. The biggest decision to make in considering the phablet is the size – are you ready to carry along a 5.7-inch screen, whether in your pocket or in a bag? As a longtime iPhone 4 and 5 user, I’m just getting used to the larger iPhone 6S, so the larger size of the Galaxy Note 5 is pretty daunting at first. Once you get past the size, you’ll be amazed at the high quality display on the device - the Quad HD Super AMOLED screen is awesome. The two cameras are also impressive – a 16 megapixel rear camera provides fantastic images, as well as the ability to shoot 4K video. A front-facing camera (now known as the “Selfie Camera”) is 5 megapixels. The Android phone comes complete with a vast array of applications and the ability to download more through the Google Play store, so you’ll be integrating this into your work and personal life a lot. The phone looks great, feels great and makes for a wonderful holiday gift this year. Starts at $349.99 (32GB model), with two-year contract, plus voice and data plans. 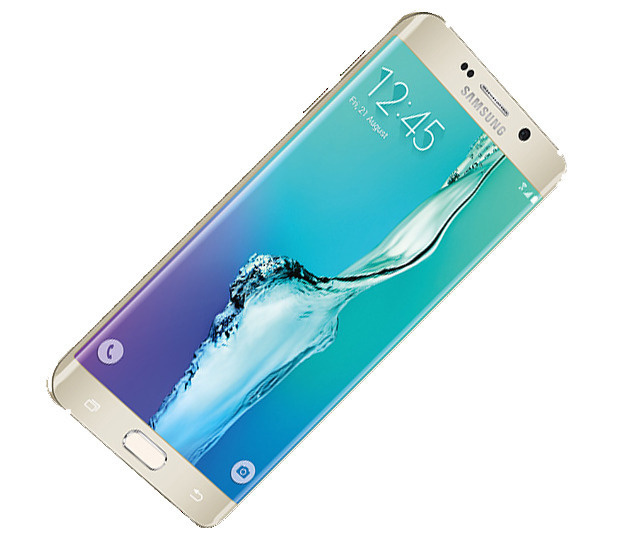 The original Galaxy S6 Edge smartphone extended the display on the phone around the edges of the device, creating this very cool looking curved screen. 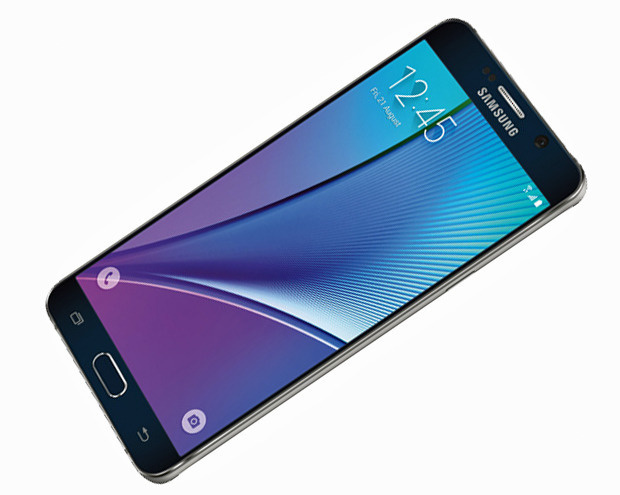 The newest version, the Edge+, adds some additional size to the device – the phone now sports a 5.7-inch display, similar to the size of the Galaxy Note 5 device. The phone now sports a Quad HD Super AMOLED display, and includes 4GB of RAM, as well as the ability to shoot video in 4K resolution and photos of 16 megapixels. A front-facing (aka “Selfie”) camera lets you take 5 megapixel images, and includes a 120-degree wide-angle feature for better selfies (because that’s what the world is all about now). The edge of the phone lets you do some additional things, such as list your five most important contacts (Samsung calls this “People Edge”), or your five favorite apps to launch quickly. The Edge lighting feature can be set to light up on the bottom of the edge when a call or notification comes in. News, weather and sports scores can be accessed on the side of the device as well. You can turn the device into a nighttime clock display for quick access on the nightstand (perfect for when you’re in a hotel room and need to know how much extra time you have to sleep in). Lastly, the edge display is a nice conversation starter, especially if you’re one of those people who like to show off their phones to others and impress them with new features like this. I’m usually not a fan of tiny keyboards, as they tend to interrupt my extremely awesome touch-typing skills. In order to shrink the size of the keyboard, manufacturers usually shrink the size of the keys themselves, causing more typing errors than with a full-sized version. Still, I was pretty impressed with the K380, as it adds functionality and portability that a larger keyboard lacks. First and foremost, the keyboard lets you connect seamlessly via Bluetooth to three different devices. This can include Windows or Mac computers, as well as iOS or Android smartphones or tablets. Switching is as easy as pushing the appropriate yellow button at the top left part of the keyboard. 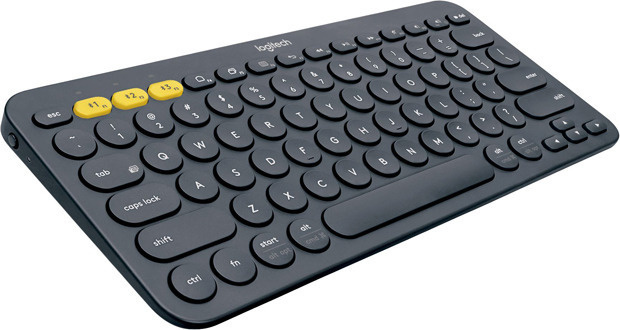 Second, the smaller size of the keyboard means you can pack this away in a laptop bag quite easily if you’re one of those people who want to ditch their laptop and try to do all of your work via a tablet. The keyboard also has nice labels on some of the more confusing keys, such as letting you know which key to press for the CMD key on a Mac, something I always have to remember with some other keyboards I’ve used. In addition, extra buttons at the top let you control the volume on the device and use the play/pause functions if you’re listening to music while getting your work done. The keyboard operates on two AAA batteries, and there’s an on/off switch on the side to let you conserve battery life if you desire. Logitech promises up to two years of battery life, but all that depends on how much you use it. The Dual USB Drive has two connectors – a traditional USB 3.0 connector lets you access today’s and yesterday’s computers, providing a quick way to transfer data from one device to another. The second connector (on the opposite side of the stick) is the new USB Type-C reversible connector, which promises easier ways to connect since you don’t have to worry about which side is up and which side is down. Many new computers will utilize this port, so this adapter will help you transfer files between the older computers and newer ones. The Ultra microSDXC UHS-I Card Premium Edition provides you with a microSD card capable of expanding storage for things like Android smartphones. The card we tried had an additional 200GB of space on it, making it more appealing to take some 4K videos and high-quality photos. If you find that your smartphone is filling up with photos and videos all the time, expand it by getting one of these cards. The card comes with a regular SD card adapter that lets you transfer the media to a computer. The Dual USB Drive 3.0 Flash Drive for OTG Smartphones and Tablets is another two-part converter/adapter. On one end, you have a regular USB dongle, which can be used to transfer data from a computer to the drive (we tried a 32GB version). On the other end is a smaller dongle that connects to your smartphone (we tried with a few Samsung devices). This lets you move content from one device to the other, with the most likely option being moving photos and videos taken with the phone to the computer to save space on the device itself. A retractable slider lets you easily choose which dongle to extend. USB cameras are not quite to the dime-a-dozen level yet, but many sure seem that way in terms of video (and audio, if they support it at all) quality. Professional videoconferencing settings require high-quality video and real PTZ (pan/tilt/zoom) capability, but many camera systems with these features have been difficult to use and often surprisingly disappointing in terms of the aforementioned quality. The Aver VC520 is designed to remedy this situation in midsize-to-large conference rooms – but note that this is an enterprise-class product, so it’s only for the very special people on your holiday gift list. 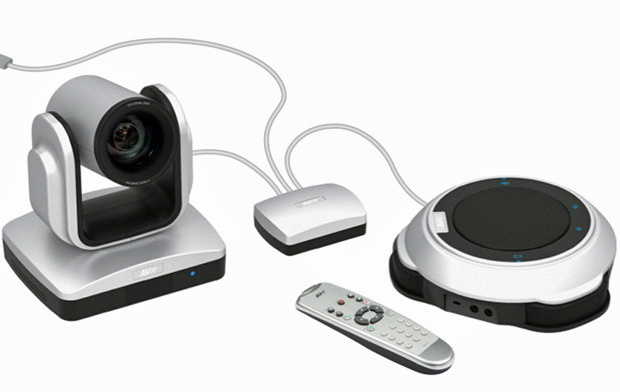 The VC520 features 12x optical zoom, a 2-megapixel sensor, 1080p video (although check with your conferencing or other software supplier for compatibility), a full-duplex speakerphone (and the ability to add an optional additional speakerphone for even larger rooms) with echo suppression and noise cancellation, and an RS-232 port for control via AV wall panels (yes, many of these still use serial ports). There’s also a hand-held remote control, a bracket for permanent mounting (desktop, ceiling, wherever), and there’s a Kensington slot as well. The VC520 can even be mounted on a tripod if desired - standard mounting included. AVer offers a three-year warranty with 72-hour advance replacement in the first year. But the best feature might just be that the VC520 is connected via USB, and supports Skype, Lync, WebEx, GoToMeeting, and more. In most cases, the VC520 should be literally plug and play. Setup is very easy thanks to the color-coded cables. On my Mac, I just selected the VC520 in each app I tried, and everything worked just fine. Using the Facetime app, the party at the end of an iPhone reported improved video quality when I switched from the MacBook’s built-in camera to the VC520. Audio quality was also excellent, and I used the remote control to scan around the room. In fact, this is the best corporate-setting camera and speaker system I’ve ever used - highly recommended for anyone looking for an easy-to-use, high-quality conferencing solution.